The inviting atmosphere of Turkey is set within its unique landscape and treasured history. The minarets of Hagia Sophia and the Blue Mosque almost mirror each other in the Istanbul skyline. 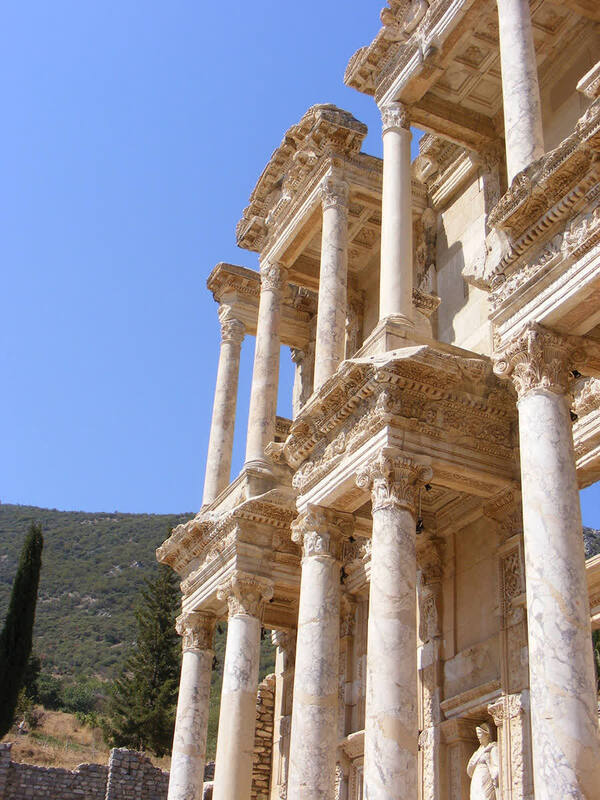 The ancient city of Ephesus takes you back in time with its classical Ionian architecture. The breathtaking boulders of Cappadocia are colorful and lunar-like. On this custom tailored tour through Turkey you will find the scenery spellbinding and that the exceptional culture emanates from the depths of the country’s history. Istanbul is a city that has brought together the cultures and flavors of Europe and Asia for thousands of years. The mixture of culture continues. In conservative neighborhoods you can find men of Muslim faith sporting beards and wearing skullcaps. However, you can also find young men in designer jeans and converse walking down Independence Street. High-rise office buildings create a second skyline away from the rising minarets and looming domes of the Hagia Sophia and Blue Mosque in the historic district. You can feel the mixture of cultures that create the streets and the city’s energy. Your private transfer meets you at the airport and escorts you to your luxurious accommodation in the heart of Istanbul. The ceramic tiles are lively and raucous as they tap against one another. The trolley car runs along the center of the Beyoglu district. The daily crowd is energetic. The buildings are European and are filled with restaurants and cafes that spill out onto the sidewalk. You find charming narrow alleys where old men play dominoes. The rich aroma of fresh Turkish coffee emanates from Mandabatsmaz, one of the most popular coffee houses in the city. The morning brings with it the savory and sweet scents of breakfast. Honey and fresh baked bread are tantalizing. The familiar aroma of Turkish coffee brings the memory of the savored flavor. Your guide meets you at your hotel after breakfast ready to show you the beauty of Istanbul on a half-day tour. 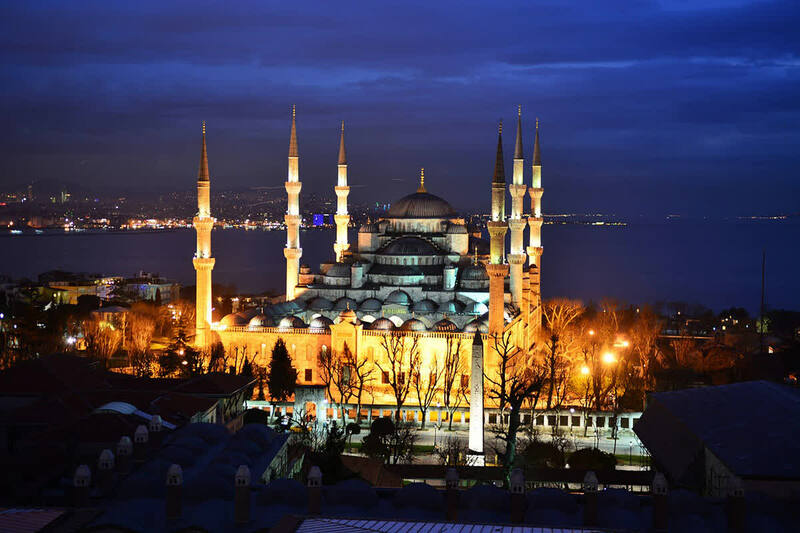 The Blue Mosque was built in the 17th century under the patronage of Sultan Ahmet I. The sultan wanted to construct a place of worship that was grander than the Hagia Sophia. Six minarets decorate the skyline around the mosque. The procession of cupolas was designed in a way that makes them cascade downward from the great central dome. The blue tiles on the rooftops reflect the morning light. It is easy to see how the mosque gathered its namesake. The interior is open and vast. The walls are lined with 260 windows. The sweeping arches create the atmosphere of an opulent palace. When the call to prayer echoes through the city the melody soothes and enraptures you. The morning is filled with rapid color and energy. After breakfast you are taken to the Spice Bazaar that dates back to the 17th century. The conical spice displays are vibrant rainbows of flavor. Rich pinks, lime green, mustard, and orange only touch the surface of the array of hues that are displayed alongside the pathways. 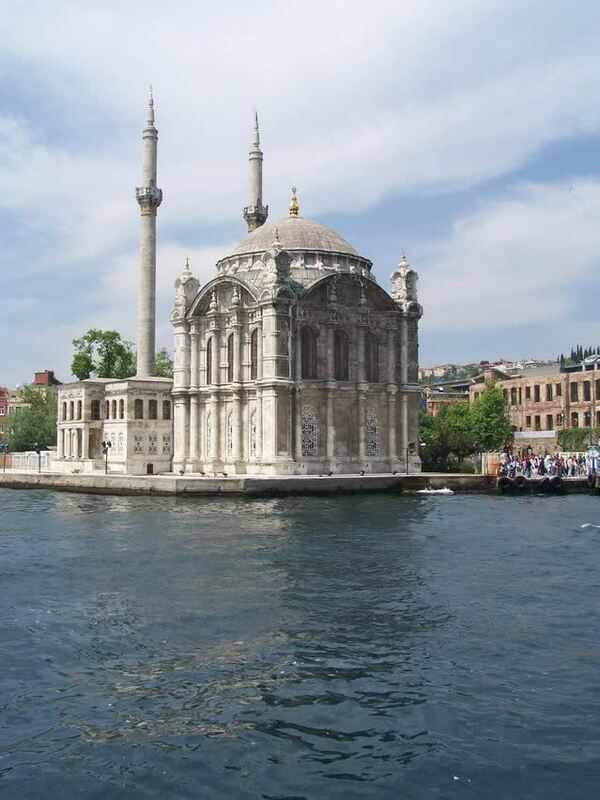 After your visit to the marketplace you will step aboard a boat and begin your cruise of the Bosphorus. The breeze is cool and welcomed. The sea air is fresh. You soon see the rising minarets and domes of Hagia Sophia and the Blue Mosque. Stop at Dolmabahce Palace to see the administrative center of the Ottoman Empire. The palace was constructed in the 19th century and is the largest palace in Turkey with over 285 rooms. Its architecture is a mixture of baroque, rococo, and neoclassical elements but the interior décor reflects the mixture of European and Ottoman styling. The Crystal Staircase is known for its elegant design and the large, graceful chandelier that dangles from the ceiling. The lavish hall is adorned with gilded metopes and marble pillars. Every inch of the palace is immersed in splendor. 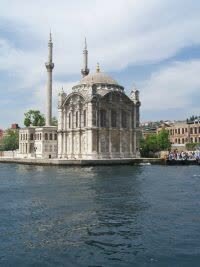 The culture of Istanbul is an image of the city’s history, from the mosques to the coffee, the spices to the palaces. Your private transfer escorts you from your hotel to the airport where you will arrive in Cappadocia in the afternoon. The landscape is breathtaking. The hills are honeycombed and boulders tower over the unearthly plain. The foothills roll and the mountains shift from orange to cream. The stone is soft and has been carved in order to create shelter for its inhabitants for thousands of years. The lunar panorama is unforgettable and unparalleled. The valley’s ridge arches like an accordion. Avanos is a town situated alongside the river and known for its pottery. The town center is decorated with a fountain of an enormous jug pouring water into a large cup. The elegant and uniquely produced pottery has become a matter of artistic integrity in the town. Sunrise over Cappadocia is as breathtaking as the landscape itself. The light peeks over the ridge and enhances the rainbow of color already inherent around you. 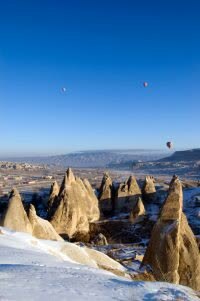 After breakfast your private guide escorts you to the famous Goreme Open-Air Museum. Byzantine monks carved churches out of the soft rock and created tremendous chapels and monasteries. In the 17th century the collection of churches became a pilgrimage site. The complex is hidden in the mountainside and could have been completely passed by if you didn’t know it was there. The churches were constructed between the 10th and 12th centuries. Karanlik Kilise is the most famous church and is filled with stunning frescoes. The vivid color has been maintained through the centuries due to its lack of windows. Enter through the winding tunnel. The gilded fresco twinkles and immediately catches your eye. The biblical history is portrayed in elegant color, from the Annunciation to the Crucifixion. Each detail is preserved and adds to the ambiance of the church carved into the mountain. Day 6: A Leisurely Day in Cappadocia. 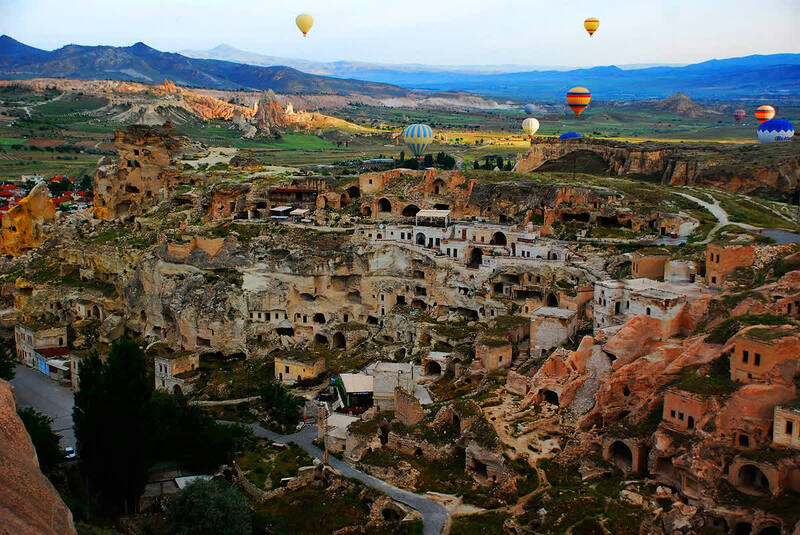 The day is yours to spend as you wish in the tremendous setting of Cappadocia. The sky is clear and blue. You can see the remarkable boulders rise into the air and twist like independent karsts. To enjoy the impressive landscape you could indulge in a hot air balloon ride. The magnificent balloon inflates and carries you away into the sky. The rush of the flame and the swelling balloon takes you into the air. There are a remarkable amount of other balloons in the sky that look like vivacious clouds. The rugged and spellbinding landscape of Cappadocia disappears beyond the horizon. Your private transfer takes you to the Kayseri Airport and soon you will arrive in Kusadasi. The city sits on the sapphire coast of the Aegean Sea. 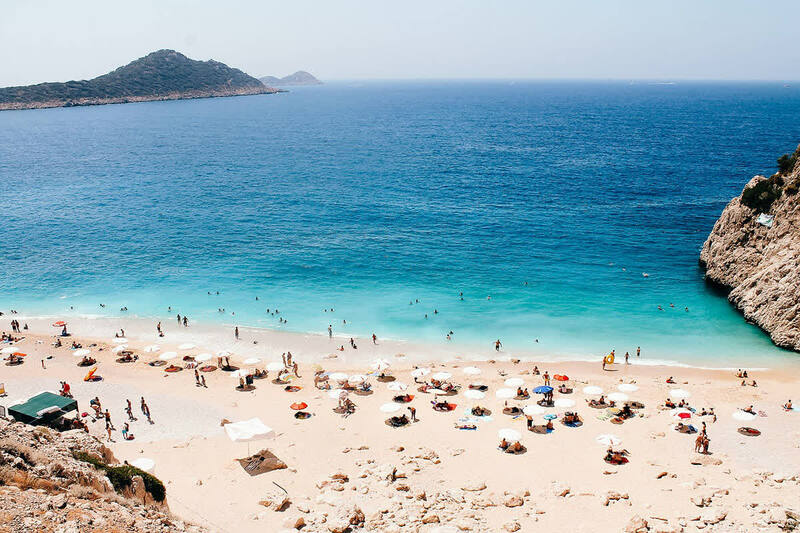 That famous beach of Kadinlar Denizi is energetic. The whir of beachside ambiance and luxury is inviting. Umbrellas create comfortable shade under the hot, coastal sun. The water laps gently at the shore. The small stone fortress of Kusadasi Castle sits on its own island. You can stroll around the strong walls and single imposing tower that looks out to the sea. When you look back at the shore you see the canary yellow clock tower rising over the water. Settle into the beauty and traditional flavors of Ali Baba located in the Belediye Bazaar. It is the oldest restaurant in Kusadasi and has a patio situated on the water from which you can enjoy the view and the all-encompassing ambiance. The city is vibrant in the morning. The aroma of sweet mint tea emanates from the cafes. You can hear the Turkish coffee percolating. 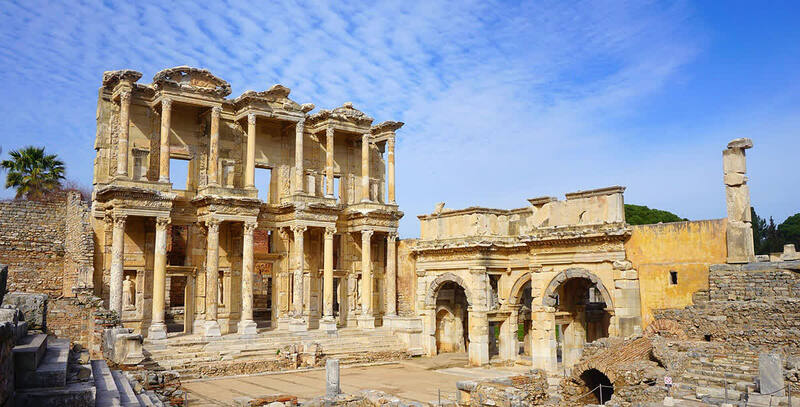 After breakfast you will make your way to the ancient city of Ephesus, home to Europe’s best-preserved classical metropolis. Attic and Ionian Greek colonists founded the city in the 10th century BC. The Temple of Artemis, one of the Seven Wonders of the Ancient World, once towered over the cityscape. A single pillar remains and stands over sixty feet tall. When you explore the site you will find the Library of Celsus. The day is at your leisure to enjoy the charming coastline. The sand is warm and the water is refreshing. 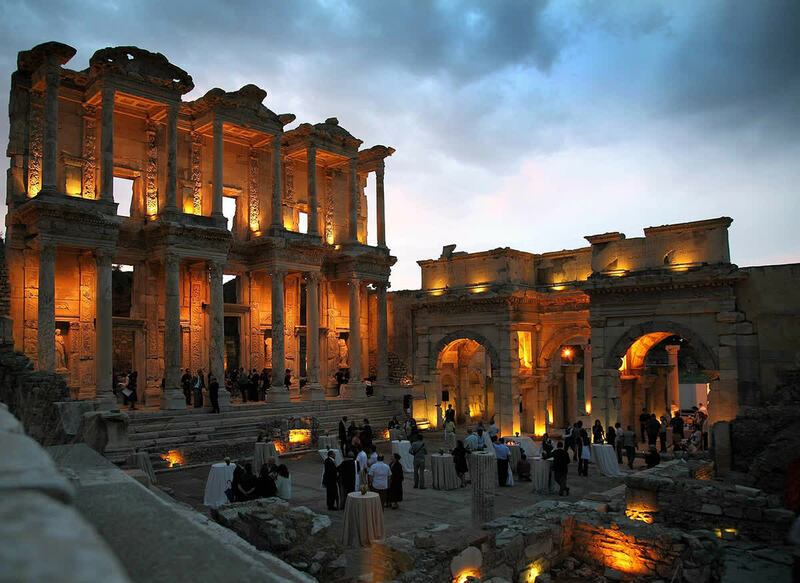 You could also enjoy another trip into the ancient history of the surrounding countryside with a visit to Pergamom. The ancient city is filled with tranquil streets and a classic splendor. The Acropolis is staggering, adorned by the great temples and the dramatic theater. The city was first documented in the 4th century BC. The Sanctuary of Ascelpius is at the foot of the Acropolis. The temple is dedicated to the god of healing and was approached along a colonnade that stretched almost 2,500 feet. The columns bases are carved with snakes, the symbol of Asclepius and of healing. The hot springs were thought to have healing properties. In the quiet afternoon you can look out over the rising pillars and exceptional theater seats that wrap around the curving hillside. You can hear the morning tide brush against the shore. The sun rises and casts a golden glower over the sand. The water continues to glow a remarkable sapphire. You indulge in a Turkish coffee with breakfast and soon are transferred to the airport to return to Istanbul. The city feels comfortable and familiar. The streets are filled with a delightful dizzying energy. The Blue Mosque and the Hagia Sophia almost mirror each other against the backdrop of the Bosphorus. Soon you will step aboard your flight and make the journey home.